The Gamm Theatre’s third production in Warwick is an English play never seen before in the United States. 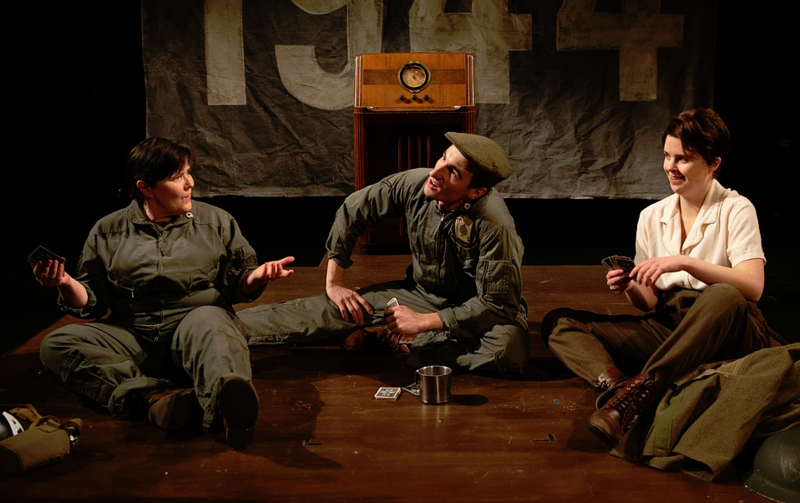 Critic Bill Gale says “The Night Watch,” directed by Tony Estrella, looks searingly not only into World War II, but also into the hearts and minds of four women and a man. Casey Seymour Kim, Michael Liebhauser, and Gillian Mariner Gordon in "The Night Watch" at the Gamm Theatre.